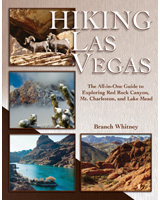 Branch Whitney, author of Hiking Las Vegas and Hiking Southern Nevada, first visited the mountains (Rockies) at the age of seven and knew immediately that he wanted to climb them. 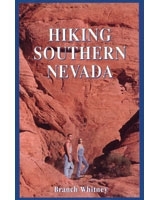 Within two weeks of moving to Las Vegas in 1983, he bagged Mt. Charleston. 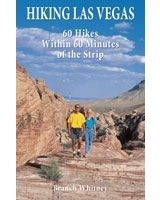 He’s logged more than 3,000 miles hiking the trails, paths, and routes surrounding Las Vegas. 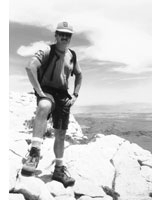 These days, he stays busy maintaining his Web site and finding new trails and routes around Southern Nevada.